Fall is such a fun season! By using fall-themed activities, teachers can "trick" students into practicing pretty much anything! They'll be so interested in all the pumpkins and leaves, they won't realize how much they're actually working. 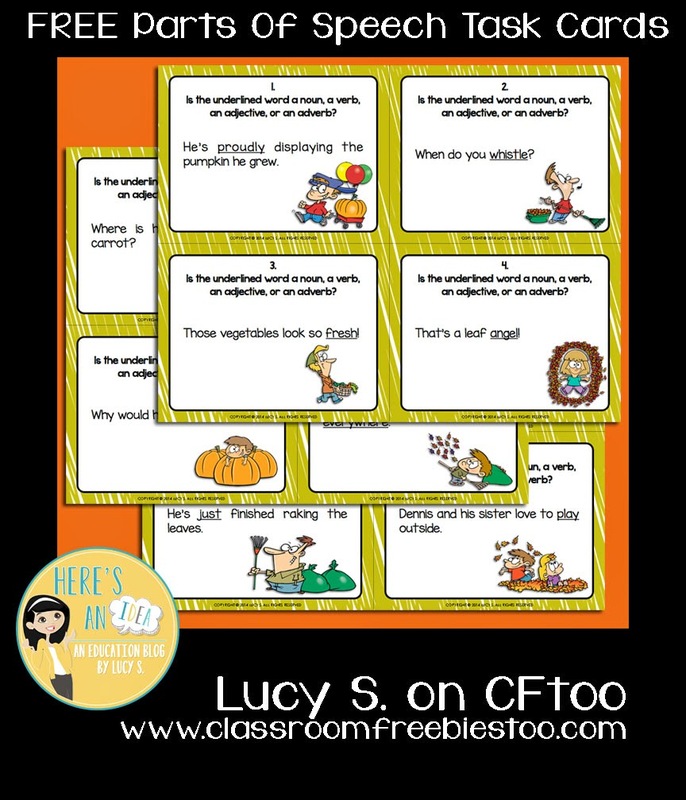 If you're looking for a review or practice activity for parts of speech, you'll certainly like this FREE Fall-themed Parts Of Speech Task Cards. You will have students working on identifying nouns, verbs, adjectives, and adverbs!